The following letter to the editor by CUPE NL President Sherry Hillier appeared in The Telegram on January 25, 2019. Russell Wangersky’s column on Jan. 18, entitled “Businesses should share the pension pain”, was quite thoughtful and offered a concrete suggestion that is very appealing – obligating employers that have no workplace plan to pay “double or triple” the employee contribution rate to the Canada Pension Plan. 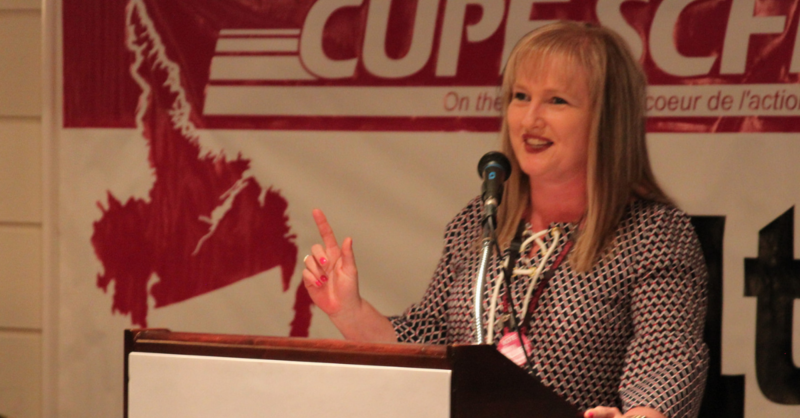 For many years, CUPE and the labour movement have been calling for much the same – to double CPP benefits for all employers. As we pointed out repeatedly between 2009 and 2016, the doubling of benefits would not actually require a doubling of contribution rates. Rather, the roughly five per cent of payroll currently flowing from employers would only need to increase to about eight per cent, alongside a similar increase to employees’ contribution. In the end, the partial improvement that was agreed in 2016 will only involve a one per cent of payroll increase for each “side” and a 33 per cent increase in the benefit level. While modest, this improvement was important, as this columnist points out, especially for workers with no pension plan at work. Canadians had an opportunity to realize Wangersky’s proposal back in 2016 when the federal and provincial governments reached agreement on a plan to expand CPP in this limited manner. Had they followed through on the labour movement’s more ambitious proposal, we would now have a pension arrangement that would be more efficient and extend coverage much more broadly. It is still possible to do this, either through returning to the labour movement’s “benefit doubling” proposal, or through some combination of that, along with expansion of the Old Age Security benefit. These changes will be crucial, as the Ball government and private employers continue to attack pension plans. We hope the federal and provincial government take up these recommendations.